Mid season variety - Large & sweet tasting! A superb variety and one of the best introductions in recent years. The large, sweet tasting berries are ready for picking from the end of June and are sweet enough to eat straight from the bush. 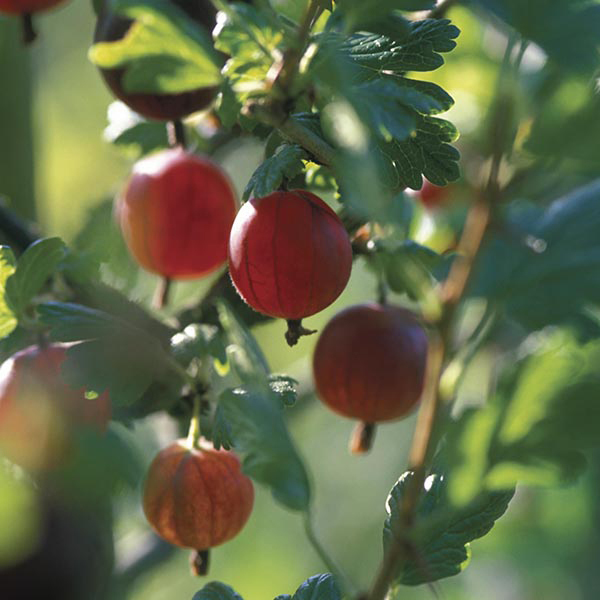 Gooseberry Xenia is a strong grower with a neat and open habit to make picking easier, we have also found plants to have excellent mildew resistance. Buy 3 plants and SAVE £4.50!